Valvular heart disease is a recognized extraarticular manifestation of the seronegative spondyloarthropathies, particularly ankylosing spondylitis. 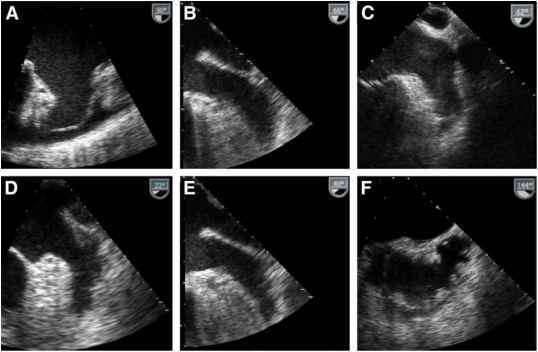 Fibrotic changes of the aortic valve are usually asymptomatic, with dysfunction occurring more often in patients with long-standing, severe disease. Scar tissue also may impair cardiac conduction, leading to drop attacks. Relapsing polychondritis can affect the valves, causing aortic insufficiency and aneurysm. This may develop early after diagnosis and is a grave development. Table.276-5. 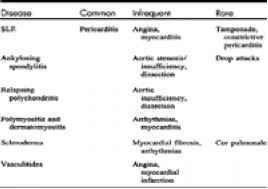 summarizes cardiac involvement in rheumatic diseases.